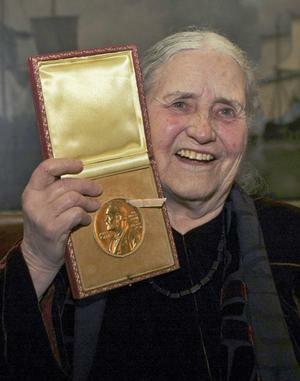 I learned about The Golden Notebook by Doris Lessing when I was nineteen after I read Erica Jong's Fear of Flying. Jong is my favorite writer and poet, and her work and life have inspired me throughout the past nineteen years. I aspire to be like her in my writing and life -- fearless! So why did it take me this long to read The Golden Notebook? I have started to read it all the way through and am blown away by Lessing's prose and the story's complexity. However, I did pick it up months after I finished Fear of Flying but put it down. I have picked it up at various times but for one reason or another I did not finish it. But now I am reading it voraciously. Why did it take me so long? Perhaps I wasn't ready for Lessing's masterpiece at nineteen or in my early twenties, mid-twenties, or early thirties. Perhaps I needed maturity and time to grow as a writer and a person. Jong's life is different than mine as well as her childhood, adolescence, and college experience. We come from different experiences. I can't be too hard on myself. Or should I be? I have read and heard interviews from people who say that sometimes they were not ready for a book at a certain age or periods in their lives. Has anyone else ever had this experience or read The Golden Notebook?